Published Nov 15, 2013 by Peachpit Press. Part of the Learn by Video series. As part of its Creative Cloud subscription offering, Adobe has introduced the Photoshop Photography Program. 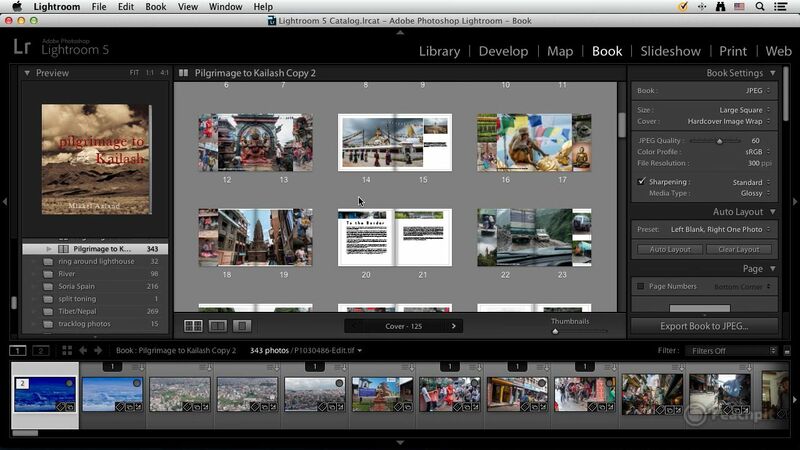 Designed exclusively for photographers, it provides easy and affordable access to both Photoshop CC and Lightroom 5. This video training program, presented by award-winning photographer and experienced instructor Mikkel Aaland, is for photographers who now have access to both of these powerful, industry-standard photography tools. Specifically geared to photographers who have a solid grounding in Photoshop Lightroom, but who would now also like to take advantage of the powerful features in Photoshop, this course includes 2 hours of high-definition video tutorials, complete with lesson files and assessment quizzes. In addition to describing the most common workflow tasks between Lightroom and Photoshop, Mikkel will dive into the most common image-editing tasks in Photoshop CC such as photo retouching, creating panoramas, enhancing slideshows, and more. The video is wrapped in a unique interface that allows you to jump to any topic and also bookmark individual sections for later review. The unique “Watch and Work” mode shrinks the video into a small window to allow you to work alongside in Lightroom and Photoshop. Project files used in the lessons are also included so you can practice what you’ve learned, and interactive review questions help reinforce freshly gained knowledge.